Our company services the territory of Elephant and Castle and the surrounding areas with some of the best professional moving services that are to be found anywhere in London today. The skilful technicians and drivers that are part of our team are licensed and insured to carry out removals throughout the whole UK, so no matter where you are moving to/from, you can count on us to provide you with the just the help you have been looking for. Pack all your items using high quality packing supplies. Do all the heavy lifting for you, using specialized tools and equipment. Finish your relocation in a hassle-free manner, up to the most satisfactory results and on time. We offer full liability insurance and custom pricing system based on the specs of the job. When we say that we are the perfect Elephant and Castle professional movers for you, we really mean it. We have been operating in the area for some years now. First we have started as just a small locally owned and operating contractor, but as years went by we have managed to carry out thousands of removals Elephant and Castle and the rest of London, for residents and business owners. Today, no matter whether you have a domestic or a commercial project at your hands, we are definitely the right people to turn to. Get in touch with our 24/7 customer support via the phone numbers provided here, or alternatively contact them via our easy to use online form. You will not only get comprehensive information on all our services, as well as an answer to any questions you have, but you will also have the opportunity to request a free no obligation quote for your project and book the most comfortable day and time for you to get our technicians do the job. Just call us today and remove all the hassle from your life. We can really do that. The district of Elephant and Castle, which is included in three postcode districts (SE1, SE11 and SE17) is one of the most central residential districts in London, located on the major road junction in the London Borough of Southwark. Setting up a home or office here will bring many benefits. The area is a major commercial center and a very comfortable residential district with many new housing developments located in it. The name Elephant and Castle comes from the namesake coaching inn, which has been operating here ever since the beginning of the 18th century. The last couple of years marked a serious process of gentrification in Elephant and Castle. 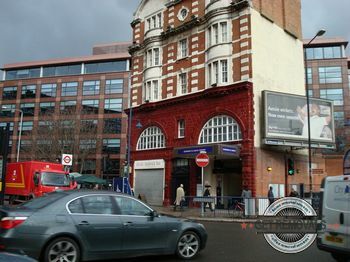 A simple walk through the area shows that many new luxury shops and high-end restaurants opened doors here, and the housing developments are preferred by many young professionals working in the big business centers of Inner London because of their close proximity to the district and the comfortable transport connections.